Brand new for 2015, here we have this fantastic Mattel 1:55 scale 3-pack featuring Mater (with Allinol Cans), Edamame Tsashimi and Daisu Tsashimi! This release are part of this year's "Tokyo Party" sub-series (#s 7&8 / 10). As shown in the screen shot above, Mater appears this way in Cars 2 (excited expression, back full of Allinol cans) during the Tokyo party scene when he ventures off to find some free food. He comes across some sushi chefs- Edamame and Daisu Tsashimi- when he pleads for a big scoop of wasabi (mistaking it for pistachio ice cream). A hilarious scene! 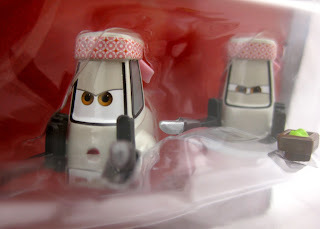 I have been looking forward to (well, hoping for) the Mattel release of these sushi chefs for a long time. It's such a memorable scene in the film, so I knew these pitties would be coming around eventually! They turned out great too. I love the film accurate details such as their bandanas, facial expressions, knives and the little bowl of wasabi that Daisu is holding. 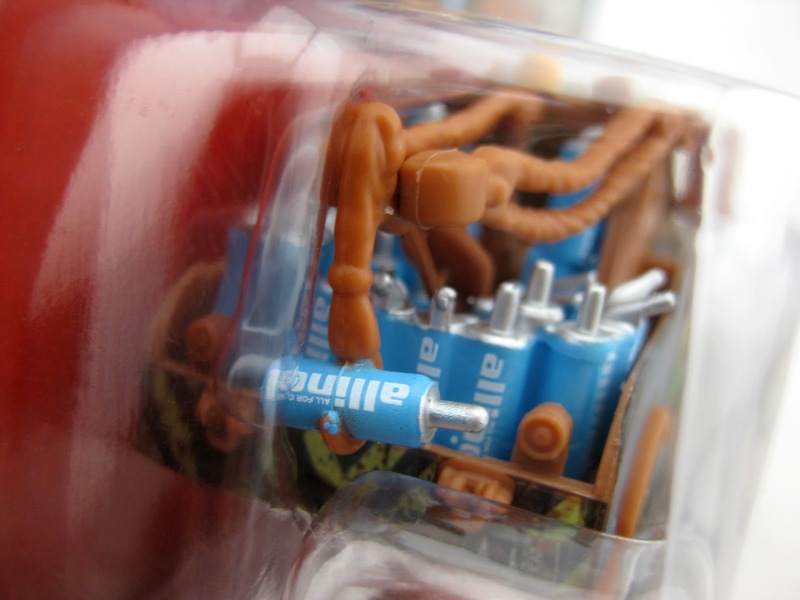 I honestly never thought of releasing a Mater with a back full of Allinol cans before, but it's actually a perfect addition to this pack! 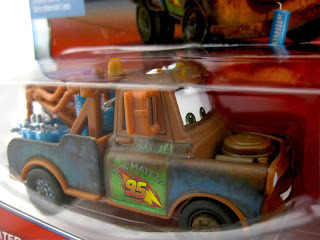 It's a fun new version of Mater with great detail and a film accurate expression. 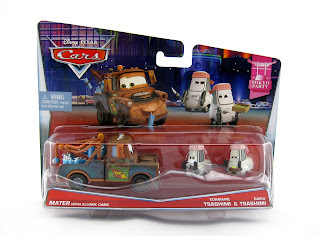 Now you can create the whole scene accurately with your diecasts. Here's to hoping a "Wasabi Tongue" diecast Mater gets a single pack release soon! I found these at my local Target just a week or two ago, so be sure to check your local stores for availability. If you'd rather just snag this release online, check out eBay HERE or Amazon using the link below. Good luck on the hunt everyone!